Any other forum members march with a Long Island Drum and Bugle Corps. If so, what corps and era did you march with the corps. I marched with the Medford Golden Grenadiers in the 60's. We went from a fire department parade corps with drums, horns and glocks to an M&M corps. 142nd Armored Division Army National Guard, Seaford Goldwen Hawks. Frank didn\t you also march Queensmen ? I just didn't consider St. Albans as "Long Island" since it's in Queens, technically in "the City". You're right, though. From the standpoint of Geography, like Brooklyn, it's actually on "Long Island". Incidentally, one of our St. Albans and Mineola buddies, Billy Cobham, is being inducted into the World Drum Corps Hall of Fame. Your Drum Corps Experience:various jr corps since '59 - joined the Cabs in '71, retired in '77, joined the Alumni in '95. Farmingdale Vanguards, Regimentals and L. I. Sunrisers. I was the kid who carried the First Aid kit for Bert Ellis. When I played little league at Tremont Ave. school, we were so bad that we'd turn the benches to watch Paul Litteau put the Walshes, Hamms, Ellises, Vaughns, etc through their paces. That started me, a saxophone player to love drum corps. That's at time when FD parades were at least two or three times a week and Suffolk and Nassau Counties had 5 circuits. 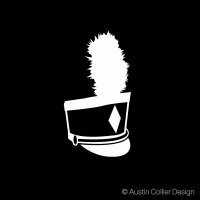 When the corps merged with the Kings Park Kingsmen, I went along to help admin but helped form "the other Phantom Regiment color guard organization." The rest is DCI's bane.